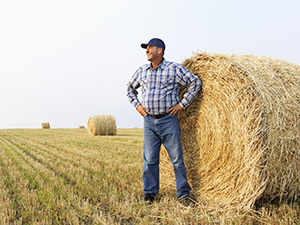 What can I use my Agricultural Line of Credit for? Agricultural Lines of Credit are intended to finance operating expenses such as crop inputs, feed costs, market livestock inventory and maintenance and repairs. Dundalk Credit Union was originally formed as a farmer’s co-operative and has always focused on the financial support of agricultural business in our community. We understand the unique business of farming. We will work with you to find credit solutions that will help your business grow and thrive. Make an appointment to apply in person at either of our branch locations. Approval decisions and administration are handled locally by our capable staff and we pride ourselves on giving you the answers you need quickly. 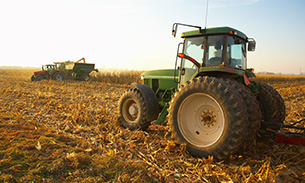 We offer a variety of credit facilities tailored to meet the needs of your farming operation. There are no application or renewal fees; interest rates are competitive and pricing is based on customer circumstances. The Credit Union offers Agricultural Lines of Credit to qualified farmers to finance operating expenses. Deposits made to your credit union Agricultural account are credited directly to the outstanding balance on your Operating Line of Credit immediately, reducing the amount of interest you pay monthly. Interest rates are variable and fluctuate with the Dundalk Credit Union prime rate. Interest is payable monthly at month end and is charged to your credit union Agricultural account. Agricultural Lines of Credit are renewable annually. Farmers can obtain loans to finance such things as equipment, farm vehicles, livestock, expansions or improvements. Loans can be structured with fixed interest rates set for up to a five year term or with variable interest rates that will fluctuate with the credit union prime rate. Manageable, scheduled payments are deducted from your credit union Agricultural account with consideration given to the timing of your cash flows. Whether you are purchasing a farm or refinancing, Dundalk Credit Union can work with you to structure a mortgage that will meet your farming needs. Mortgages on Agricultural property can have fixed interest rates set for up to a five year term or can have variable interest rates that fluctuate with the credit union prime rate. Manageable, scheduled payments are deducted from your credit union account.